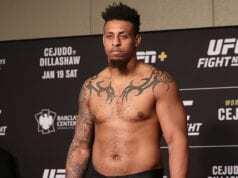 In the co-main event of the evening, controversial figure Greg Hardy will make his official UFC debut when he takes on Allen Crowder. 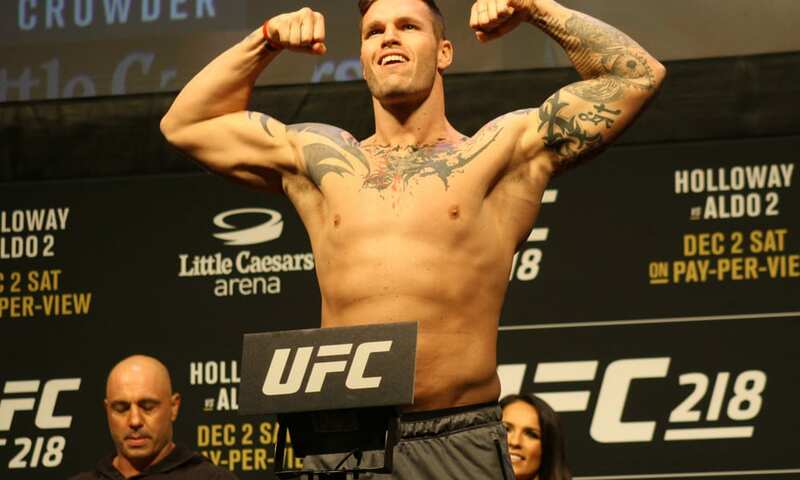 Hardy, a former NFL All Pro, is only three fights into his combat sports career. However, he has finished every one of his fights in under one minute via violent KO. Crowder will definitely have an experience advantage over Hardy. However, he is coming off of a loss in his last fight to Justin Willis at UFC 218. Hardy goes right after Crowder and lands a right hand. Crowder handles it nicely and lands one of his own. The fighters clinch momentarily. Hardy throws a jab and a low kick. He blasts a knee to the gut of Crowder. Crowder scores a takedown and stalls the action. Hardy starts to sneak out the back but Crowder manages to get Hardy back to the ground. He mounts Hardy and lands a couple elbows. Hardy wall walks to get back to his feet. Crowder is using a front headlock to get Hardy down but Hardy slides out and ends up on top of Crowder with 45 seconds left in the round. Hardy lands a punch but Crowder gets up as the round ends. Hardy throws a lunging jab to start the second frame. He throws a superman punch to follow. Crowder answers back with a hard right hand of his own. Hardy just misses a big uppercut. This round has a much slower pace thus far. Hardy lands a right hand as he looks much more controlled this round. Crowder starts talking smack with his hands at his sides. He is begging Hardy to throw a punch. The fighters engage. Hardy throws a knee that hits a downed Crowder. The fight is over. Hardy throws an illegal knee.